Known as both a choral director and organist, Colm Carey is widely acclaimed as an exciting and distinctive performer. 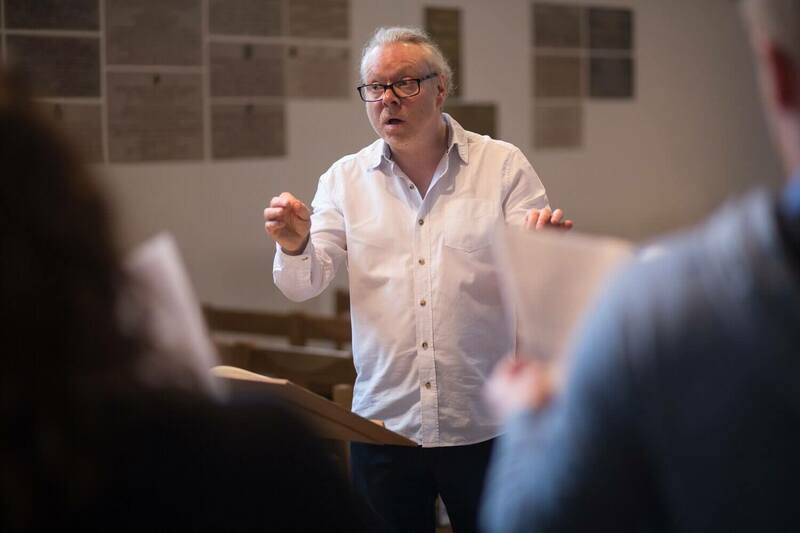 As Master of Music of the Chapels Royal, HM Tower of London, Colm directs the choir for the weekly services in the Chapels as well as for special events – including royal visits – in the two historic Chapels Royal. He has toured with the choir to South Africa, Italy and Ireland, and as well as releasing a CD of music inspired by the Psalms of David the choir has broadcast on several occasions, most notably to the all the countries in the Commonwealth on Christmas Day 2011. He has directed the choir in numerous concerts, covering a wide variety of music from the 15th century Eton Choirbook to works written especially for the choir. Upcoming performances include Requiem (Brahms), Messiah (Handel) and a programme commemorating the end of World War 1, which will include five new works commissioned especially for the concert by Irish composers. Colm’s interest in assuring programming that is imaginative and stimulating has led to the formation of the Odyssean Ensemble (of which he is Artistic Director) – a flexible group of musicians brought together by Colm to explore, through innovative projects and collaborations, the notion of music being a journey – a journey that challenges the listener and stimulates the mind, body and senses. Although still in its infancy, the group has given a number of critically acclaimed concerts and will shortly record its first CD. From 2003-16 Colm was Belfast City Organist. As well as giving many recitals on the Mulholland Grand Organ in the Ulster Hall, he performed many concerti including those of Poulenc, Parker, Handel, Haydn, Rheinberger, Jongen, Leighton and Guilmant. Many of his performances from the Ulster Hall have been broadcast, and in 2005 he presented four programmes on the history of the organ for BBC radio. He has collaborated with many artists (especially brass players and singers) and festivals, and in June 2014 the international – Dublin based – PIPEWORKS Festival held the final of its competition in the Ulster Hall at his invitation. As a recording artist, Colm has produced a number of solo and chamber CDs, and he was the featured organist on Paul McCartney’s classical album, Ecce Cor Meum, which premièred at the Albert Hall in London (available on DVD) and the Carnegie Hall in New York. His interpretation of Bach’s The Art of Fugue has been admired for its originality and scholarship.